The World Trade Organization (WTO) has awarded $21 million a year in trade sanctions to the island nation of Antigua and Burbuda at an arbitration panel this week. 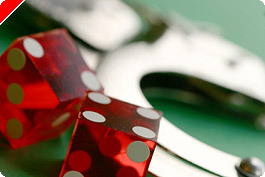 Antigua will be (understandably) disappointed in the award after proving to the world the US had pulled out of their GATS agreements in relation to online gambling. The tiny island nation has built its economy around the online gaming industry, but they were forced to accept a paltry amount as compensation. Antigua claimed the damage to their economy was $3.4 billion. The US responded with an offer of $500,000. There had been industry wide speculation that the WTO could effectively force the US to honor its previous trade agreements, but the WTO has proved somewhat toothless against US protectionist practices. The US has dealt a blow not just to Antigua and the online gaming industry by refusing to honor WTO agreements, but also to world trade by setting this precedent. China will have been watching these proceedings closely; and now know they can withdraw from trade agreements in the future without paying fair compensation. Washington has acknowledged that its internet gambling restrictions were ruled illegal by the WTO, but has decided to simply walk over another small nation rather than do the right thing and honor previous commitments. The WTO has come out of this ordeal looking very much like the "toothless tiger" many countries believe it to be. How much damage will this precedent eventually cause to world trade and the global economy? Only time will tell.